"Have you imagine there is so much nuts around and there is so much health benefits each one contains?" 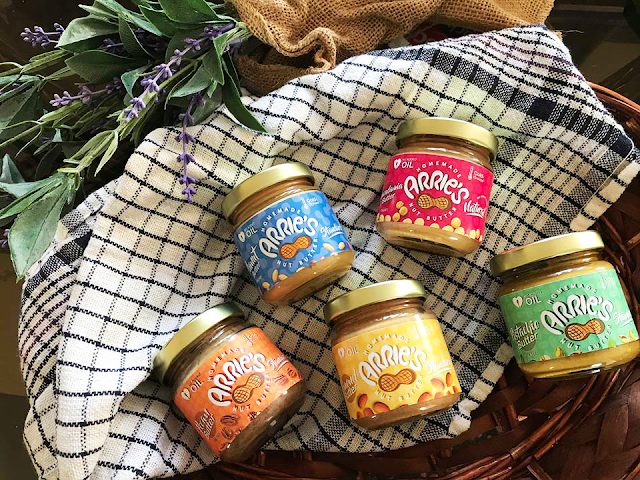 Peanut butters has been known for its wondrous healthy fat for our body! 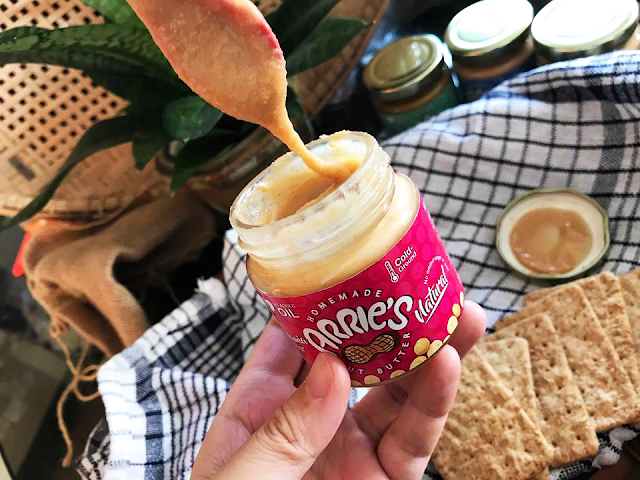 And I have been a peanut butter muncher lately to reduce my hunger pangs on my diet. 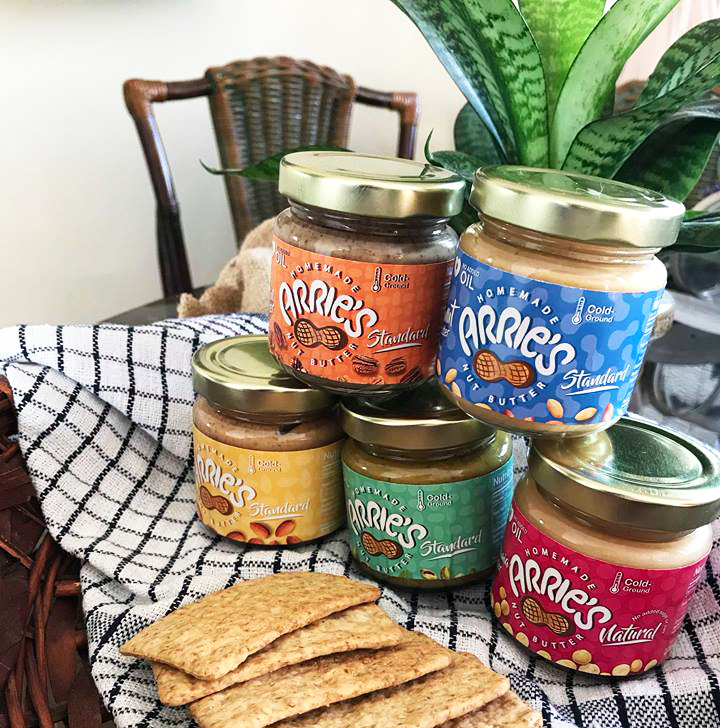 The team from Arries Nut Buttercame in just in time for a review! And boyyyyy I was amaze with the variety they have! 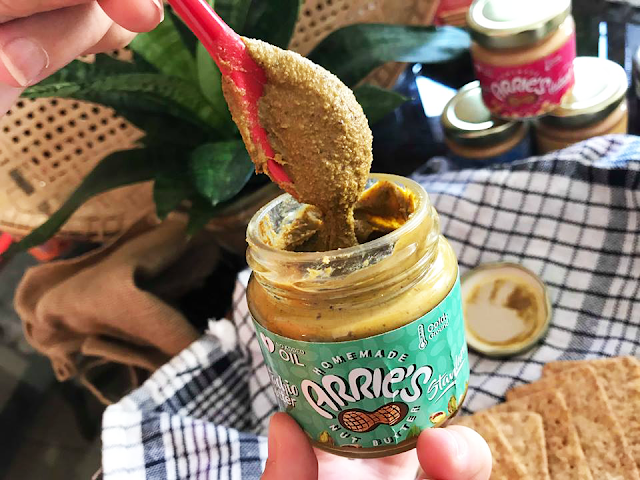 Amazing nut butters you can’t get it on the market. Ranging from Almonds all the way to Pine nuts! Here’s some of my favourite nuts and really cool facts shared by the team at Arrie’s ! Peanut - the most common nut for nut butters, but also i think Arrie's did a great job in making sure the taste and texture is real. 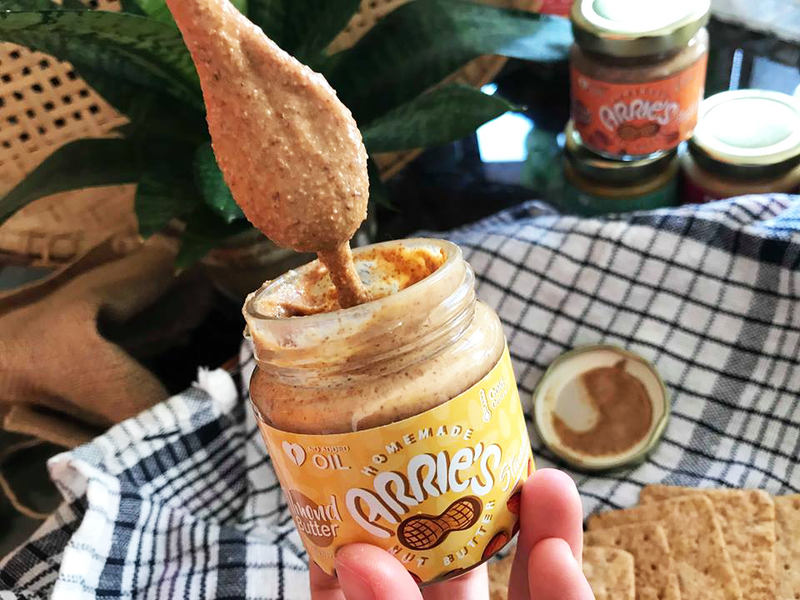 the texture is a little more runny than your usual commercial peanut butters. but I REALLY LOVE the flavour and sweetness to their peanut butter! 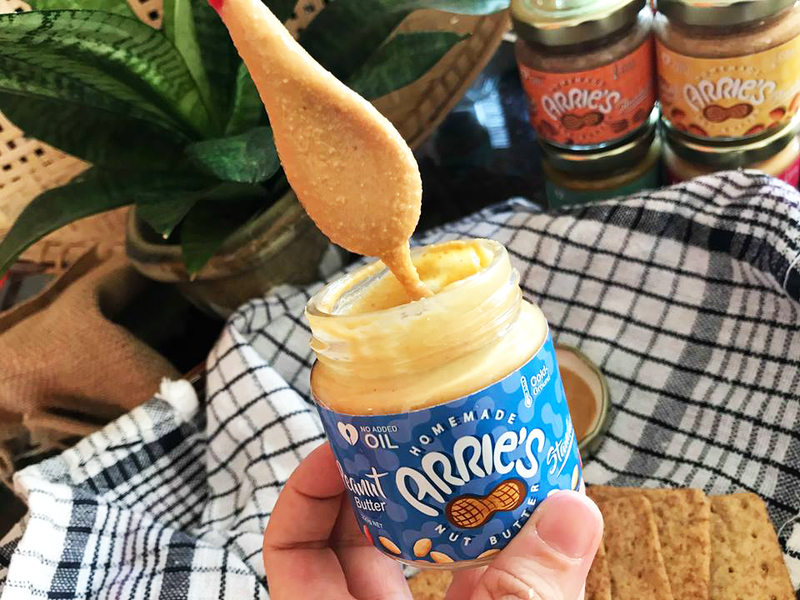 not sweet and just the right amount of peanut taste so you'd actually feel like double dipping. These green gems have fewer calories per nut than many other varieties, but that’s not the only perk: They’re rich in lutein, an antioxidant that’s also found in leafy greens and is important for healthy vision and skin. Plus, one serving gives you almost as much potassium as a small banana. Almond - to be honest, it was a neck and neck battle with the pistachio butter because it has the same grudge texture I love! Its not really chunky – but it has a nice lingering texture that makes me crave by eating them by scoops! Its dangerously addictive. Softer on the thickness, perfect to eat with breads or fruits! Macadamia – known for its really nice strong flavour. its my mom and dad's favourite. more softer on texture and is thinner on the spread. but packs quite a punch on the flavour. would go well with chocolate spread or fruits. While they contain the most fat of any nut here, they also have the highest percentage of heart-healthy monounsaturated fat. They’re also a good source of thiamine, which helps your nervous system function. Pecan - was a little raw for me. i'd love it to be more roasted, cause i always love my cookies with pecan. but yes, you can really taste they put in a lot of pecans to make sure you get your needed health benefits! Pecans are rich in beta-sitosterol, a type of plant sterol found to lower cholesterol as well as contribute to prostate health—so encourage the men in your life to eat up! 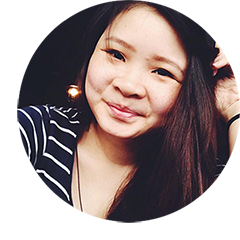 If you’re into a more natural options! They have seasoning options that fits the health conscious – they only used Organic cane sugar and Himalyan Pink Salt for seasoning! Nothing else! Natural – might be a little blunt and really strong on the nut taste as nothing is added into it! 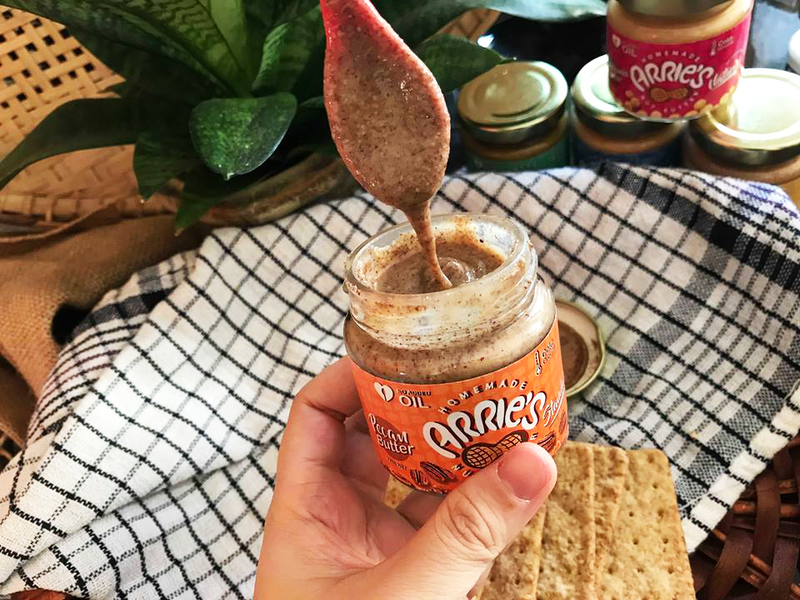 So if you’re really into a healthy choice and full on nut butter. You can opt for this seasoning option! Lightly seasoned - light and easy seasoned. an in between for standard and natural. pretty mild. Standards yumms – most of the nuts I tried was standard seasoned. And really, it wasn’t sweet at all! It was just nice and all the way you can taste the nuts so clearly! I probably had the best peanut butter thus far! Whats great is that they are naturally handmade and the team behind it does a great job making sure there is quality control as their products are made with No MSG – No Artificial chemicals & preservatives – No Oil added – and its also perfect for Vegans! 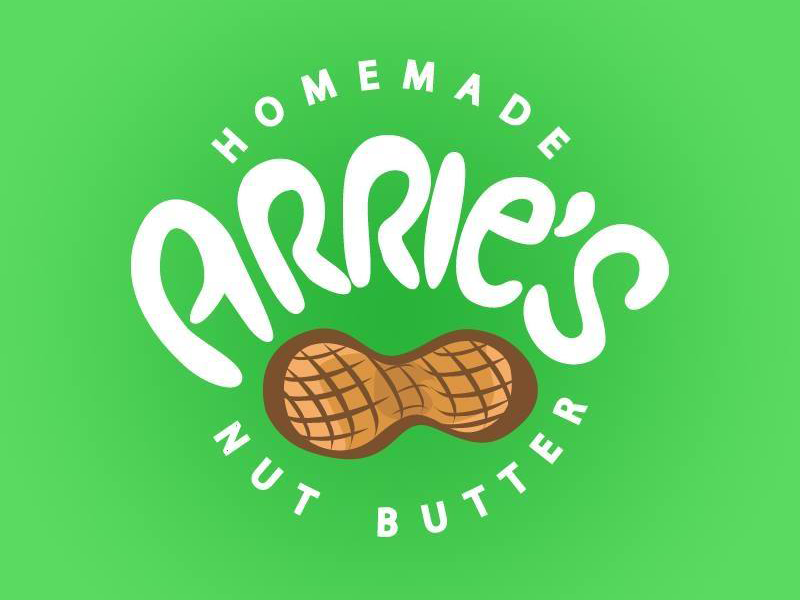 They make their nut butter to order! So rest assure the quality is there. I’ve tried the butters with apples, bread and crackers! I honestly think they would go well with oats bowls and fruits as well! You can always get creative with the recipe! for pricing and explore other newly added nuts options too!